Jerome L. “Jerry” Hartwig, age 80, of Green Bay Road, Town of Port Washington, WI died peacefully Sunday, July 13, 2014 at his home with his family at his side. He was born on February 5, 1934 in Milwaukee, son of William and Helen Kind Hartwig. He grew up in Milwaukee, but those that know him think he should have been born in the 1800’s and grew up out West. As a young man, Jerry liked to spend time up at a ranch near Mauthe Lake. There he could not only ride horses, he was the one doing the breaking. He carried the cowboy mystique throughout his life. On January 23, 1954, Jerry married Arline K. “Lin” Foulks of Milwaukee. They raised their family in Saukville, later moving to the Town of Port Washington. She preceded him in death on August 28, 1997. On November 2, 2001, Jerry married Aileen Bickhart King of Puerto Rico and the Town of Port Washington at St. John Lutheran Church in Port Washington. They continued to live in the Town of Port Washington. 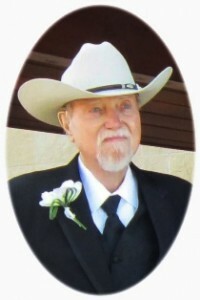 Jerry spent over 30 years as a machinist and material handler with Simplicity Mfg. Company in Port Washington. He retired in 1995. While there, he was a member of the International Association of Machinists and Aerospace Workers Local 1430. He loved sports and the Green Bay Packers. He was a long time active supporter of the Saukville Rebels Youth Football program and sideline chain-gang member. He volunteered with the Saukville Fire Department and remained active with its auxiliary. He enjoyed hunting and playing cards, especially sheep head, with family and friends. He has been a supporter of the Blood Center of Wisconsin and Indian gaming, especially poker. He is survived by his wife Aileen, sons Dave (Lois) Hartwig of the Town of Port Washington and Scott (Mary) Hartwig of Saukville; step-children Steven J. (Anne) King of Wiesbaden, Germany, Lynn M. King of Bolling Brook, IL, Cynthia A. (Duane) Waite of Toronto, Canada and Amy L. King of the Town of Port Washington, his grandchildren Jason (Jill) Hartwig of Appleton, Brian (Andrea) Hartwig of Waukesha and Adam (Janel) Hartwig of Port Washington, Austin (Lisa) Hartwig of Fredonia, Angela (Steve) Rosploch of Grafton, Nicole (Andy) Hoerig of Middleton and April Hartwig of Gilbert, AZ, 14 step-grandchildren, great-grandchildren Jackson, Adelynn, Aubrey and Kylee Hartwig and Briana Hoerig, 3 step-great-grandchildren; sisters-in-law Delores Hartwig of Waukesha and Beverly (Craig) Johnson of Milwaukee and brother-in-law Kenneth (Marsha) Bickhart of Green Bay, nieces, nephews, other relatives and friends. He is preceded in death by his first wife Arline “Lin” Hartwig, daughter Debra Hartwig and a brother William Hartwig. Funeral services will be at 6:30 PM Thursday, July 17, 2014 AT THE POOLE FUNERAL HOME, 203 N. Wisconsin Street, Port Washington. Reverend John Klieve of St. John Lutheran Church, Port Washington will officiate. Interment will be at Union Cemetery, Port Washington. Visitation will be from 4-6:30 PM Thursday AT THE FUNERAL HOME. Memorials to American Cancer Society, National Kidney Foundation or American Heart Association appreciated. Next Post: Vincevineus, Norma A. Just saw the notice online about Jerry!! Please know I care and will miss his friendly face and kindness. He was a special person. Aunt Aileen, I am so very sorry to hear about the passing of Jerry, You are and always will remain in my prayers and thoughts, If there is anything at all I can do, please do not hesitate to call me or get ahold of me somehow, I will be there this evening to be at your side in your time of need. I love you and so sorry I have not responded sooner, I actually just found out last night. Papa Jerry has been a part of my life for as long as I can remember. I often played with his daughter Debbie while she was sick and not feeling well and I always remember her great heart and the warm welcome I received from Jerry and Lin. They always made me feel welcomed in their home and a part of their family. When Jerry and my mom united in marriage I always felt like I was coming home. Big hugs and kisses from all when we saw each other and we shared what was going on in our lives. If Jerry had been born 100 years earlier, out in the untamed West, he would have been a hero! He is a hero in our day for cherishing family and values above all. He was a great man that will live on in many of us. We will miss listening to his stories! Grandpa Hartwig is such a great part of so many wonderful memories. Those memories will forever be in our hearts. Thanks Grandpa for all you did. You will truly be missed!! So sorry to hear about the death of your husband, Aileen. Sounds like he was quite a great guy. I’ve thought about you often, but didn’t know how or where to find you. I hope you’ve had good health and lots of happiness in your life. I’d love to connect with you so we could do some catching up. It’s been years. I subscribe to the website for Poole’s so I can keep informed of some of the happenings in Port. I’ve lived in Madison for more than 40 years and seldom get home. Please email me once things settle down in your world. I’d love to hear from you. Try to remember the happy times with your hubby. Grandpa Hartwig was an amazing person and will truly be missed!!! May beautiful memories of this wonderful, kind man bring you some comfort at this time. Jerry was a wonderful man and will be missed.